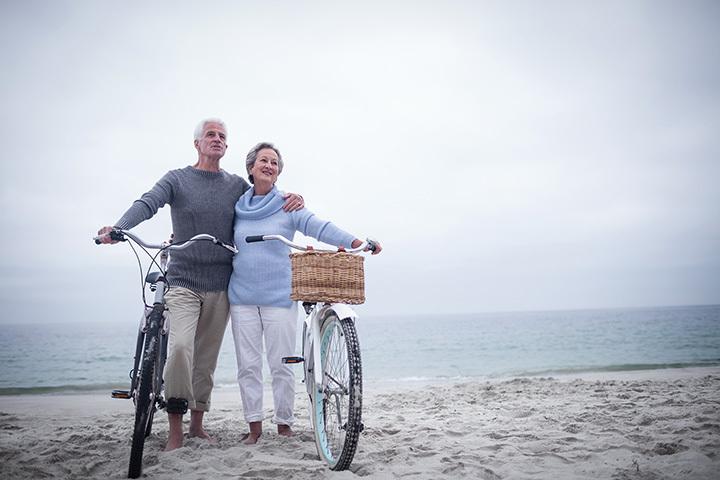 The 10 Best Retirement Activities in California! Today’s seniors are more active than ever and don’t slow down for retirement. California remains one of the most popular spots in the nation to retire, thanks to great weather and plenty to do. Skip the card games and shuffleboard in favor of some of the best retirement activities in California, from sports to culture. Palm Springs is a notorious hot spot for retirees, thanks to the hot dry climate and plethora of activities like tennis and golf. The Aerial Tramway offers spectacular views of the desert and mountains and the opportunity to visit the natural history museum or go hiking once you’ve reached the other side. Now that you have more time to get involved and support the things you love, become a member at the historic Los Angeles County Museum of Art (LACMA). With a membership, you’ll have the opportunity to see select exhibitions before they are opened to the public, get discounted tickets and discounts from LACMA stores, and special occasions like after-hours visits. If gardening is your thing, or will be in retirement, then the Moorten Botanical Garden is likely of some interest. Open year-round (for fewer hours in the summer), you can tour the gardens to learn more about the water and light requirements of various plants as well as see an astounding number of desert dwelling flora. This is a particularly good yoga studio for those who are older or have less experience. At Gentle Way Yoga, the goal is to “focus on safe, slower traditional asanas” and “softer, healing, stress-reducing and therapeutic classes.” The focus is not on just one style of yoga, but providing a great experience for all levels of experience. Bandaloop is the next generation of dance. Celebrating the human spirit, Bandaloop is a dance troupe that features aerial performances on vertical surfaces and is a next level of dance. You can enjoy a performance when the troupe performs in your town or take a class or camp or participate in other ways through its home base in Oakland. The Crucible is a large space that offers a variety of hands on experiences in the arts. Learn a variety of crafts from the adult classes that give you the tools and experience needed to pick up a new artistic hobby, including glass blowing and metal works. You can find a variety of offerings at various levels of ability and price points. There are quick classes and immersion experiences so that you can create everything from jewelry to sand castles. #thisiswhatawoodworkerlookslike 🔥 Instructor Donna Lauzon demos making a bowl in Woodturning I! Lake Merritt in Oakland has all the entertainment you could want. It combines community with nature and acres to explore. There are gardens to explore that feature different types of aesthetics as well as Q&A sessions with Master Gardeners. You’ll also find other forms of recreation including acro-yoga, rowing, birding and more. If you love fishing, then head to Rio Vista for the annual Bass Derby & Festival. There’s the fishing derby as well as a carnival, car show, boat show, charitable opportunities and events and activities for the grandkids. Rio Vista is also a good place to settle down if you’d like to fish more than just once a year. If you’re an artist or have an appreciation of the arts, then you might want to check out Eureka. The small town has a thriving arts scene, complete with museums, shows, festivals and other events. Eureka also boasts some of the most picturesque and famous Victorian-style homes in California, artworks themselves. It’s time to treat yourself. The historic Catalina Island Casino offers plenty of opportunity to win big in a luxurious space. Make a whole weekend of it. Stay the night at the in nearby Avalon hotels, enjoy fine dining, golf, boating, tours, and much more. You’ll love every moment of this lavish escape.